When I was doing research and finding design elements to use for the Chinese deck, I stumbled upon these beautiful flower designs that were featured at the bottom left corner of some of the bills. 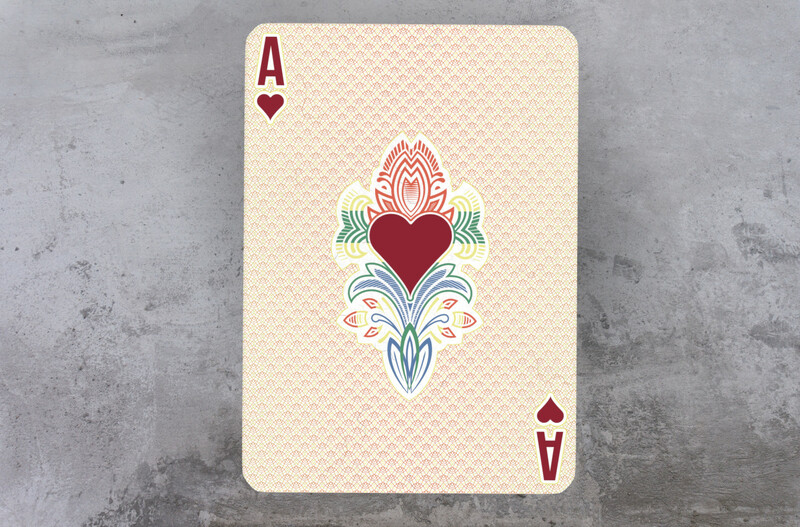 I used these different flowers to create an interesting motif behind the center pip or suite on the aces. This helped make a normally pretty boring card much more interesting. Each Ace will feature a different flower that corresponds with background texture, pattern and color scheme. Below I have included an example of the note I used as inspiration for ace of hearts. Richard Kempter, Tom W., and 12 more people like this update. Nice, Look at the 1 and 2 Yuan of the same currency. Think they will also work somewhere. Great touch putting the flower on the aces!